This site is dedicated to the Sonoma 30 - an ultralight, symmetrical-kite racer from the early 80s. It's a homepage for individual Sonoma 30s, a repository of information related to our boats, and, hopefully, a magnet for more information about the design, its history, and any "unknown orphans" floating around (pardon the pun!) out there. This site's just gettin' started, but we're hoping it grows. If you're looking for information related to the potential new San Francisco fleet of 30'-ish ultralight-ish racers, look here. If you have any information about the whereabouts of any Sonoma 30s, or their history, please email jim@sonoma30.org. Also - Sonic 30s and Synergy 1000s are welcome: Send us pics, info, etc! Here's some basic information. Please let us know where we have something wrong! Built: 1981? 1982? Any info appreciated! # Built: 8? 12? 20? Any info appreciated! Configurations: 3: Retracting keel, transom rudder (original design); fixed keel, transom rudder; fixed keel, inboard rudder. Some boats run masthead kites, some fractional. 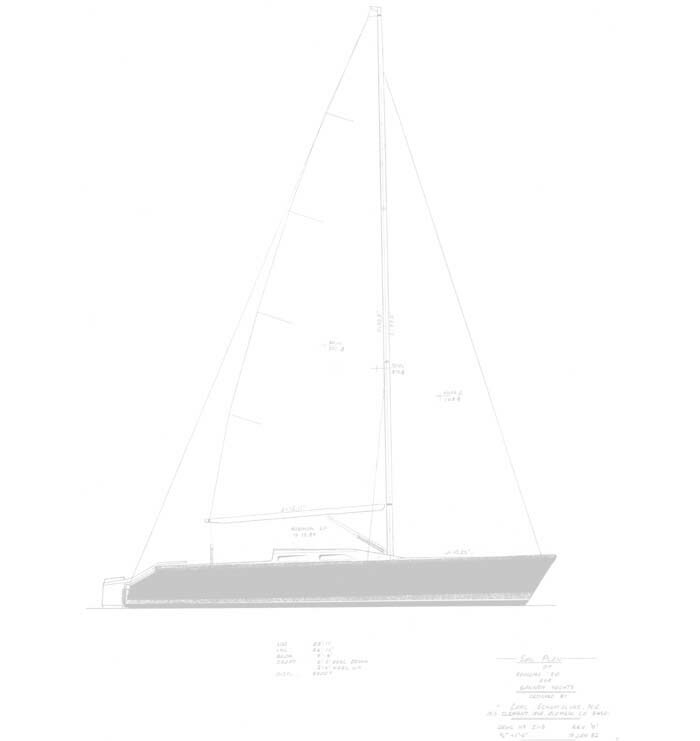 Synergy 1000: Current production, high-tech asym boat based on Sonoma30 hull.